A glimpse of the aircraft picture above is similar to B-2 Spirit, a stealth bomber aircraft of the USAF that was developed in the 1980s under the Black Project (a secret military project). The aircraft that shown in the picture was a stealth bombers that has been developed since 1936 by the two Germans brothers, ie Walter Horten and Reimar Horten. This aircraft included into the 'Flying Wings' type because most of the body of the plane is in the form of wings, unlike the form of aircraft in general. Not many people know that the aircraft with stealth technology was already developed by the Germans during World War II. And from the Nazi's design and technology then traced by Northrop-Grumman Corporation to make the B-2 Spirit stealth bombers which we know as one of the US military mainstay today. Since teenager, the Horten brothers already familiar with the world of aviation. They both have long admired the delta wing concept created by Dr. Alexander Lippisch. 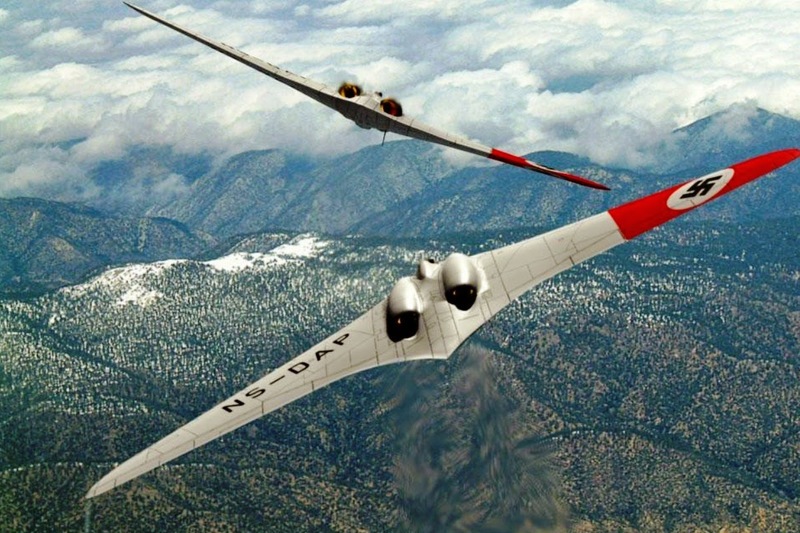 By the time when they are teenagers, the Horten brothers had managed to fly their homemade glider in 1933. In 1943, the Luftwaffe (the Nazi-German Air Force) ordered the manufacturing mission of bomber aircraft that could carrying 1,000 kg of bombs, then fly as far as 1,000 kilometers, and can reach speeds of 1,000 kph. The mission is known as the 3 x 1000 Project. 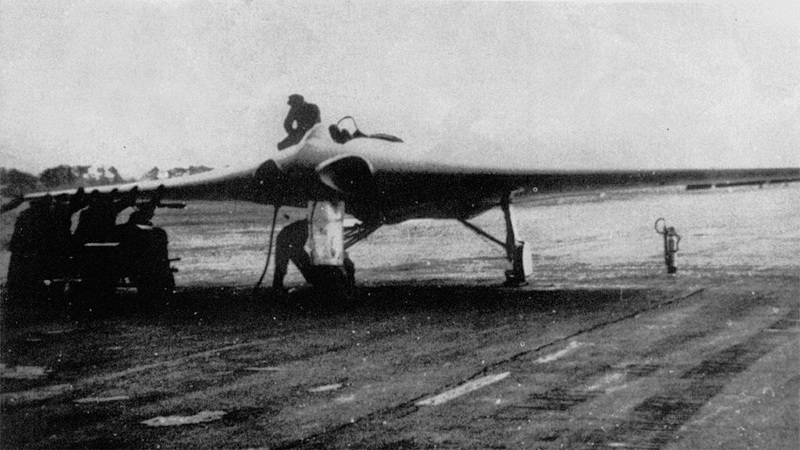 And the Horten brothers aircraft design which are considered most appropriate for the project. 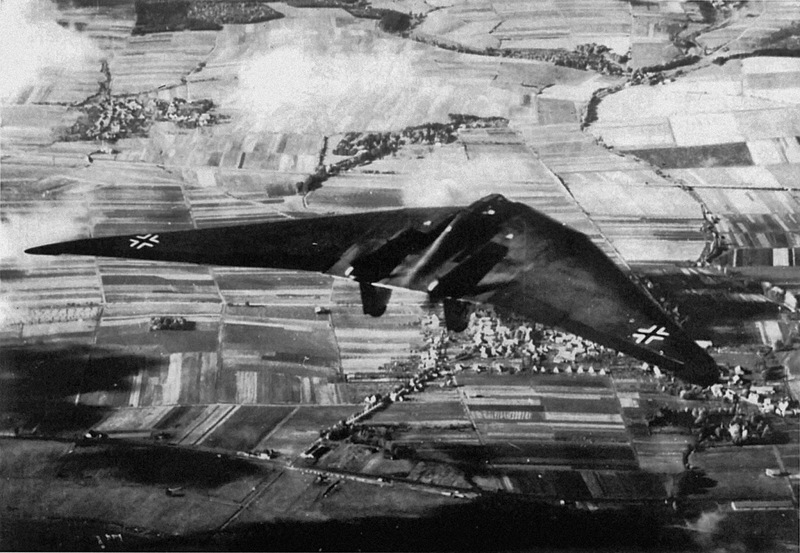 Then in February 1944, they has created the first prototype named Horten IX V1 or often also called the Horten Ho 229 was an aircraft prototype can be completed by them within six months in Göttingen. After V1 version, the project continued with the V2 prototype version. This time the aircraft has been use the turbojet engines in accordance with the project requirements. The first flight test of V2 conducted on February 2, 1945 in Oranienburg. According to reports, the V2 prototype can be controlled properly. But it still has an interference of lateral instability. Even now, the disturbances in this section generally has become a hallmark of the flying wing aircraft type. And two months later in the third test flight, the V2 prototype got a bad luck. The aircraft can not be controlled because it has been losing the speed. And Erwin Ziller, the test pilot was killed instantly when his plane smashed into pieces. 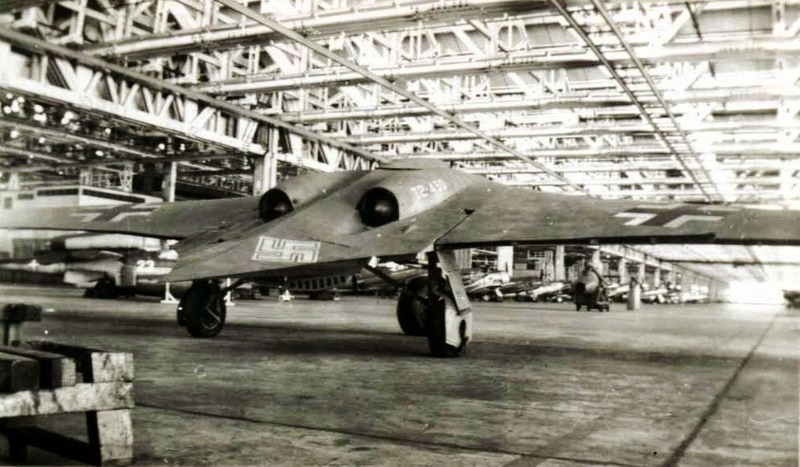 After the accident, the remaining of Horten Ho 229 V2 prototypes was transferred to Gothaer Waggonfabrik (Gotha) in Friedrichsrode. In March 1945, they began to build the third prototype, the Ho 229 V3. This prototype is a modification version that has a larger size than the previous generation. Both the dimensions of size, engine capacity, as well as the fuselage material already using steel. The bomber is almost finished when the Allied forces invaded Germany and took over Gothaer Waggonfabrik along with all of its assets. Furthermore, Ho 229 V3 aircraft prototype was brought to the US for further study. 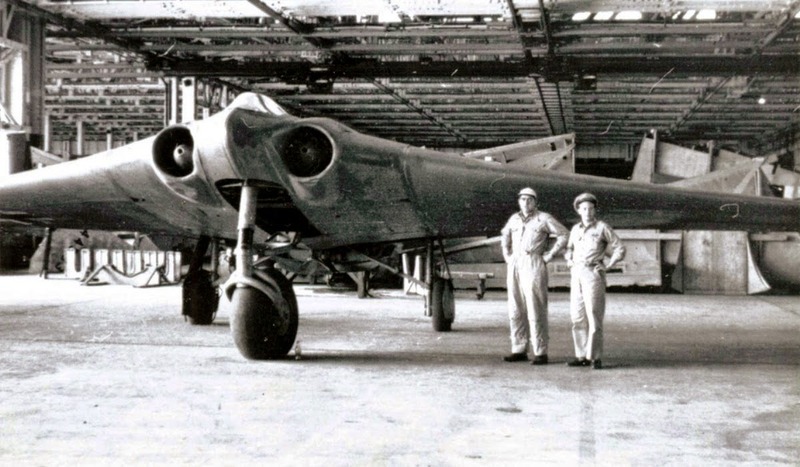 Then Horten Ho 229 V3 prototype was stored in NASM's Paul E. Garber Restoration in Silver Hill, Maryland. The video below was the reconstructed of Horten Ho 229.